Why does ACS choose GE Silicone? 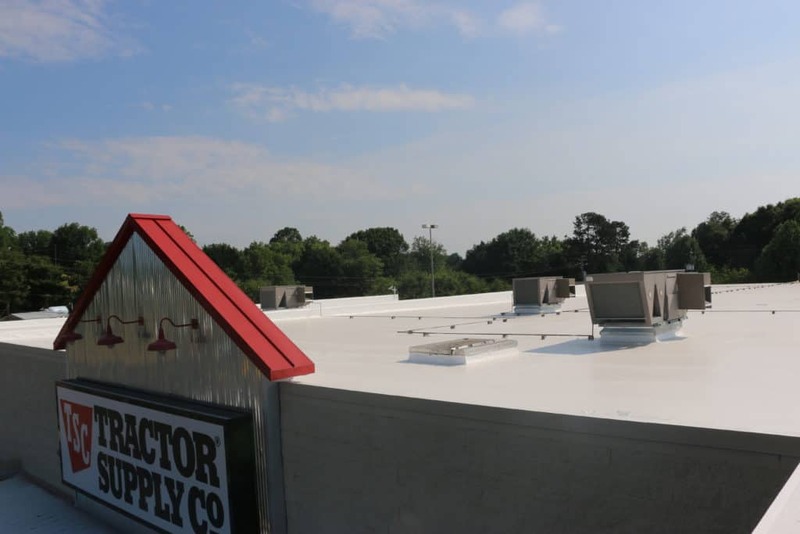 The GE High Solid Silicone roof system is the greatest break-through in commercial roof coating technology in the last 50 years. 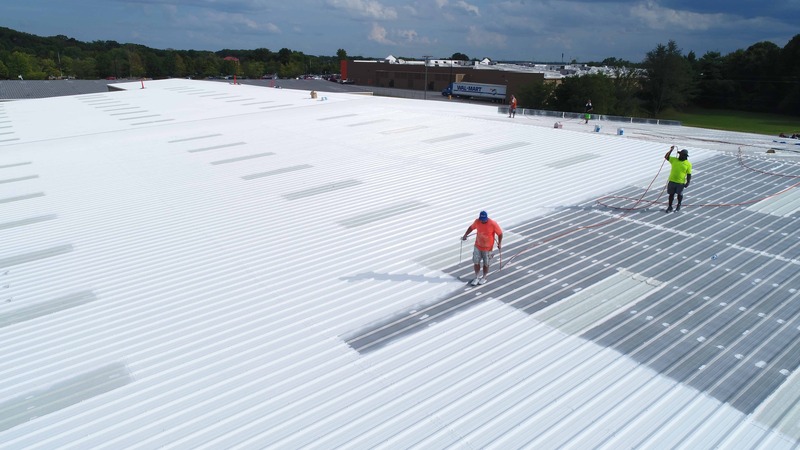 There are problems in the roofing industry that are accepted as pains that are necessary. Loud noises, exponential waste, risky tear offs, high prices, tenant disruption and increasing insulation requirements are just a few of these problems. 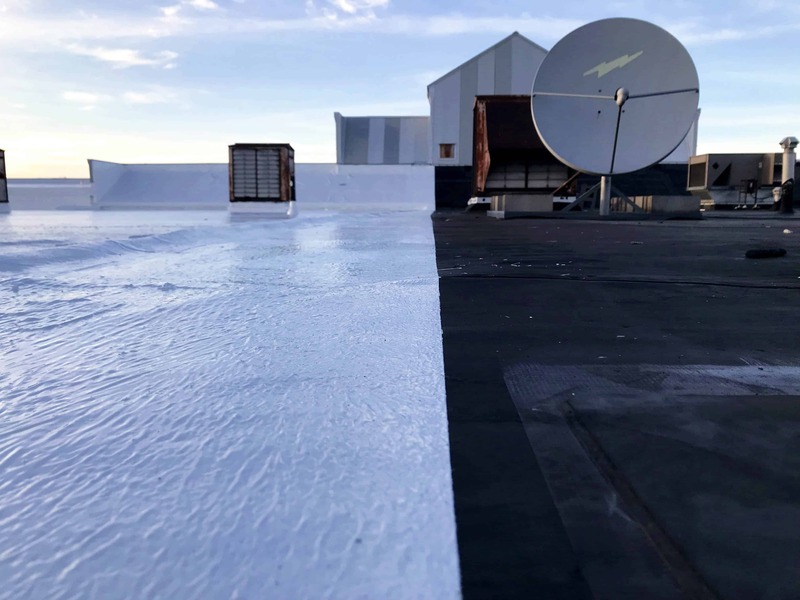 GE High Solid Silicone is eliminating these problems and giving commercial building owners the longterm, leak-free warranties they seek. At ACS, we are proud to be a leading installer and ambassador for the product. 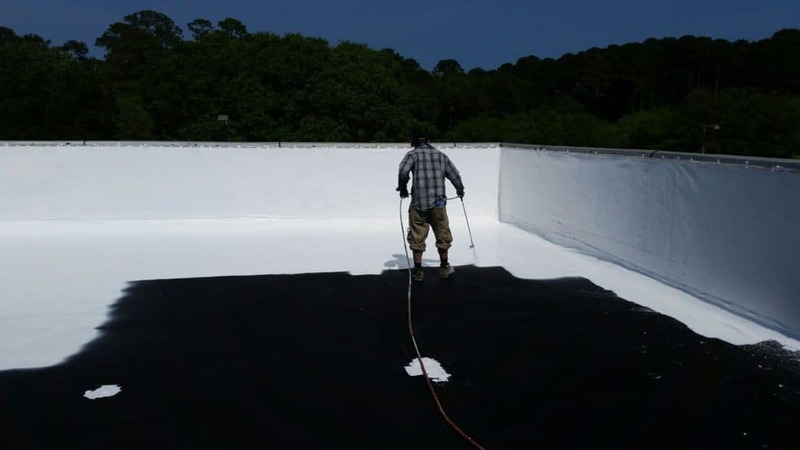 The primary reason a roof gets replaced is to stop leaking. Owners and managers demand a warranty that makes sense, represents their interests and is backed by a name that will be around to honor the warranty. 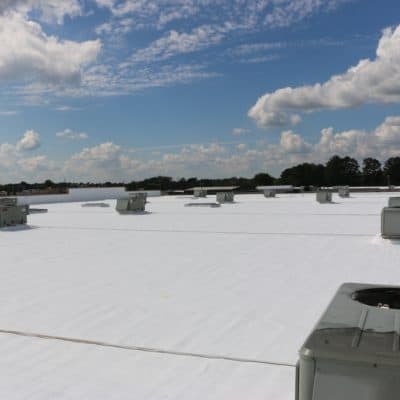 Membrane roofs used to be the only way someone could get a leak-free warranty, because Acrylic Coating manufacturers will not give them the type of leak-free warranty they are seeking. GE offers 10, 15, 20 and 25 year warranties that are leak free. 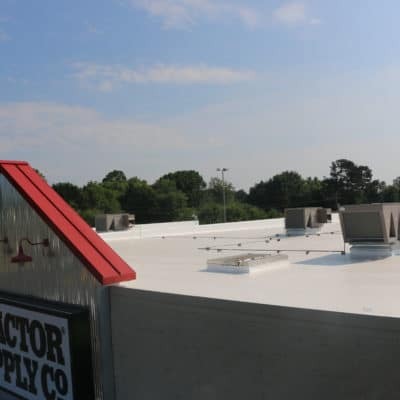 When the warranty expires, GE & ACS will come back, clean your roof, re-apply a new layer of silicone and renew your warranty for another 10, 15, 20 or 15 years. All of this is part of how we are changing the roofing industry. 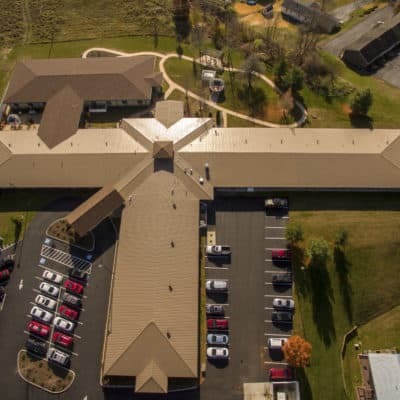 Keep reading to learn some specifics about how we, along with GE, are introducing property owners and managers to an exciting new world of roofing! Leak-Free Warranties. Just like membrane roofs, except better. 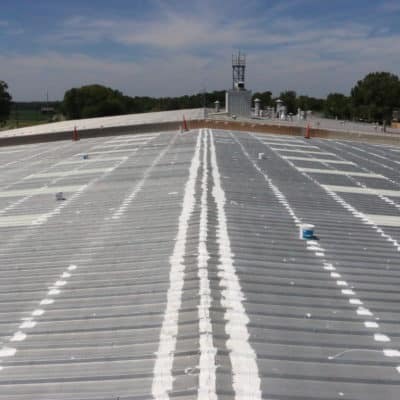 Membrane roof warranties are simple. 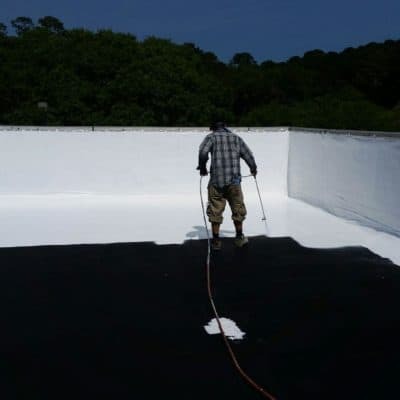 You pay for a 15 year leak-free warranty, the installer puts the correct material down, you pay the contractor and the manufacturer hands you a warranty that the roof will not leak due to bad installation or failing material. 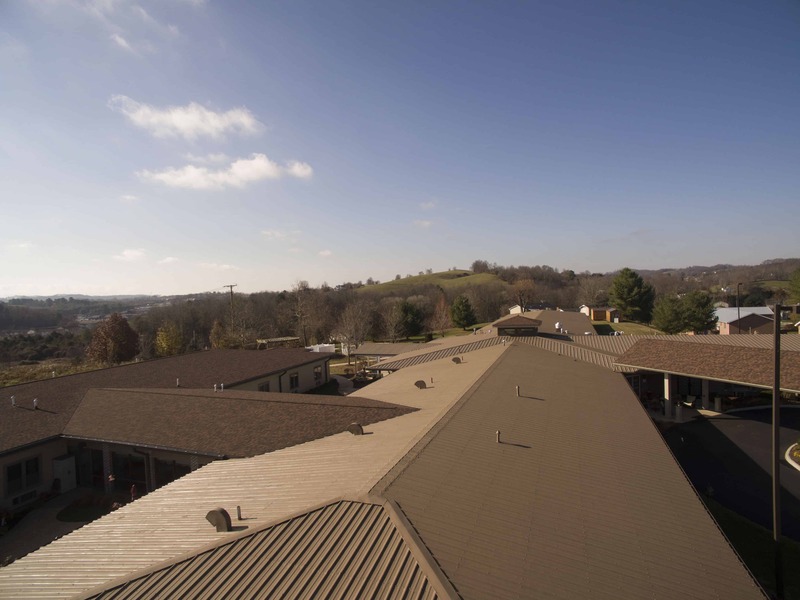 GE High Solids Silicone Roof Systems’ warranties offer the exact same protection. GE High Solids Silicone takes their warranties one step further, however. They won’t void your warranty due to ponding water on the roof. Plus, the warranty extends all the way up the pipes, walls, metal coping, HVAC units and anywhere else it is applied. For 10 years? Check. 15 years? Check. 20 years? You betcha. 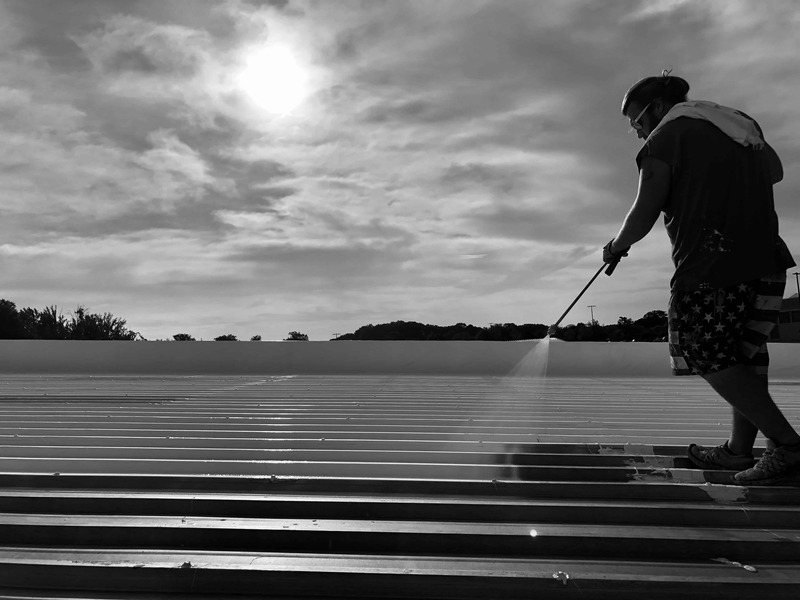 Best of all, once the warranty ends, all you do is clean and re-apply GE to your roof system. Your warranty is extended up to 20 more years. No more tear offs. No more extreme insulation requirements. No more tenant disruption. No more harm to the environment. No more breaking the bank. It’s pretty amazing. Be a hero… to your CFO. 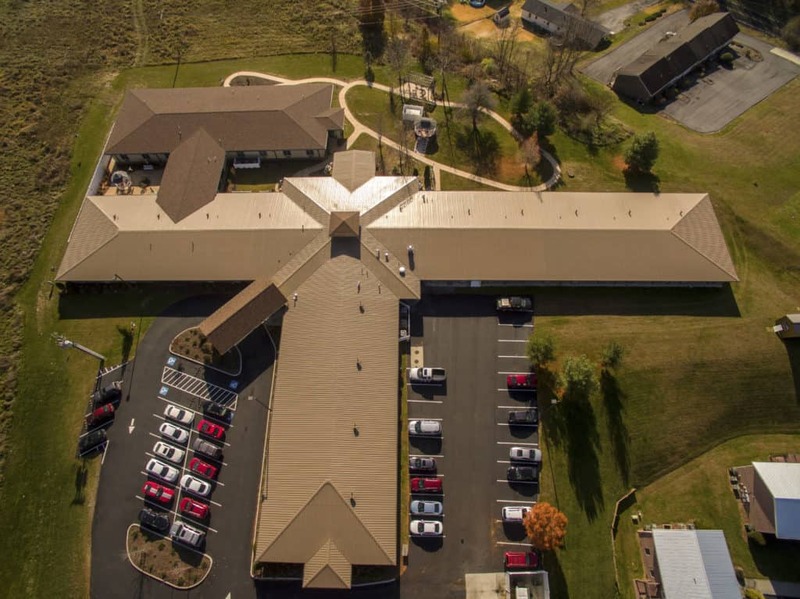 One of the most expensive CAPEX projects a business will take on is a roof replacement. The high costs kill deals for real estate companies, the noise disrupts daily business operations, and change orders can drastically increase costs past the contract amount. These all impact the bottom line and delay other projects that may serve to generate revenue. With ACS and GE your business gets it’s financial freedom (and sanity) back. 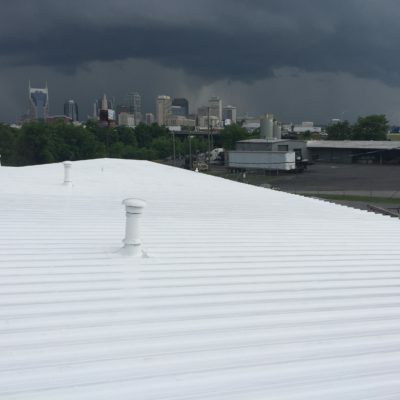 Our clients report that our GE Roof System costs 35% less than a recover and 60% less than a tear off. Since we aren’t tearing the roof off, we avoid the hidden secrets that will balloon the price at the end of the job. Best of all, there are no nasty smells, loud noises or debris coming down on ceiling tiles that will disrupt your business. Friendly. Especially to the environment. When you can make a choice that is better for your wallet, better for your business, better for your comfort and better for the earth… it’s normally a good decision. “High Solids” means that there are basically no volatile organic compounds (VOCs) in our material. 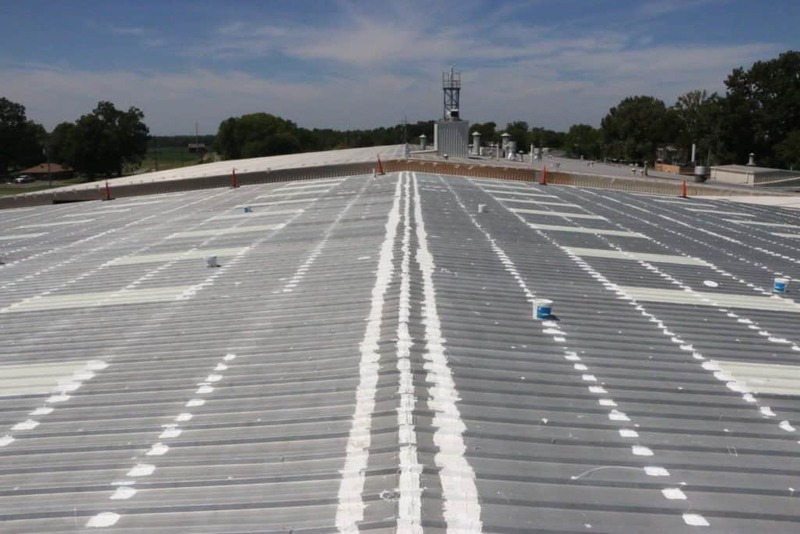 This GE Roof System remains highly reflective of UV rays, has the unique ability to keep from getting hot and lowers your cooling costs. Unconditioned spaces, such as warehouses, often see a 35% reduction in how hot it gets inside. 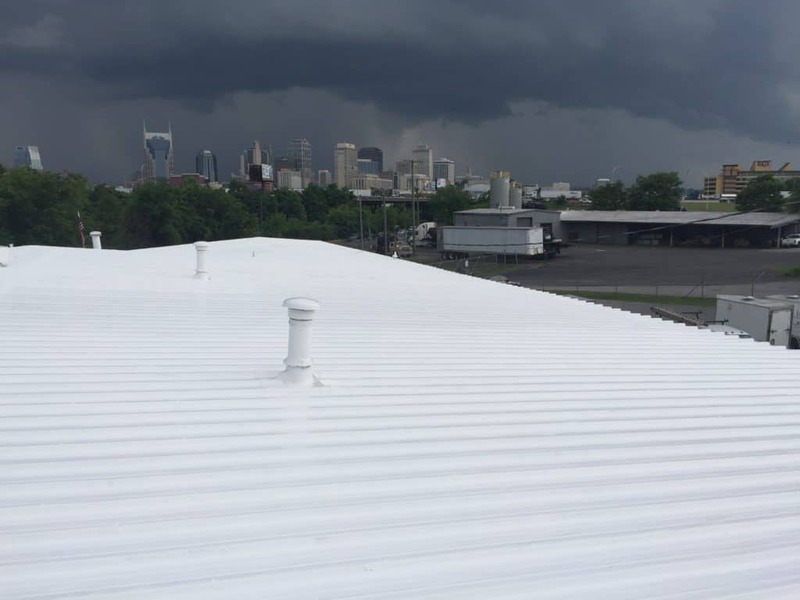 We make an 85 degree day in the warehouse much more tolerable… at least that’s what our clients tell us, we are still sweating on the roof. 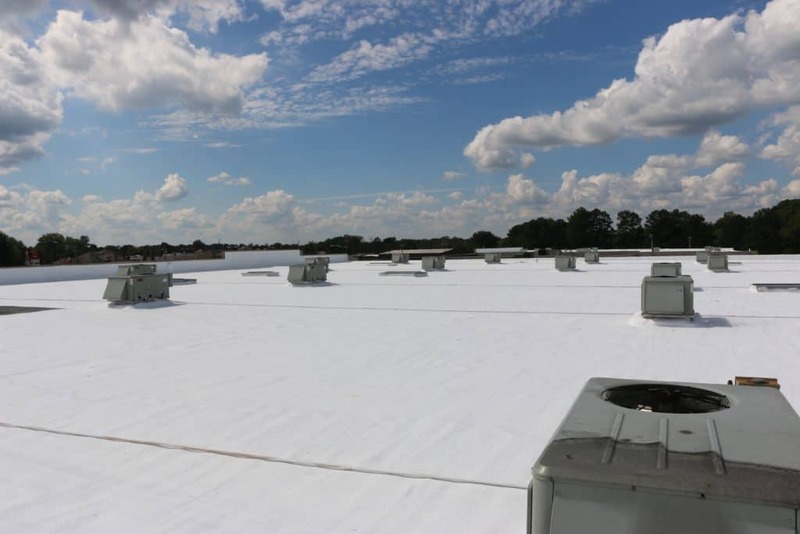 GE High Solids Silicone is; Cool Roof Rated Counsel Approved, UL Rated, Miami-Dade County, FM Approved & Title 24 Compliant. That’s a list of highest standards in the industry, that have unanimously approved our (and soon to be your) favorite roofing solution.